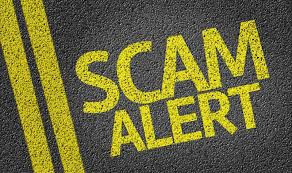 Mexico Timeshare Scam: Can I get out of a Villa Group Timeshare with Mexican Timeshare Solutions? Can I get out of a Villa Group Timeshare with Mexican Timeshare Solutions? First things first, if you have entered into a Villa Group timeshare, there’s no need to feel hopeless. In fact, it should be reason for celebration. There really is no need to want to get out of a Villa Group timeshare contract. Even if you are having second thoughts about having purchased a Villa Group timeshare, there are many alternatives that will turn your investment into one of the best decisions you have ever made. But remember, if there is one sound piece of advice that you simply must leave this blog with, it is that Mexican Timeshare Solutions is NOT a solution. Avoid rushing headlong into a scam! Firstly, you need to accept that you can not get out of a Villa Group timeshare with or without the help of Mexican Timeshare Solutions, unless you do so before the end of the cooling off period (more on that later). If Mexican Timeshare Solutions agents convince you otherwise, you are in for disappointment. Timeshare rentals are one way to help you if you suddenly realize that your finances won’t stretch to yearly vacations to Mexico to stay in one of the top vacation destination served by Villa Group such as Puerto Vallarta, Nuevo Vallarta, Cancun, Los Cabos or Loreto. You could rent out your timeshare weeks. In extreme cases, you might decide to sell your timeshare or transfer it to a friend or family member. Using your Villa Group timeshare might just be the most obvious choice. Within no time, you might find out that the sales agent was right about how owning a Villa Group timeshare fits perfectly with your vacation goals. Better that, than walking into a cancellation scam. The cooling off period is the only time when you can get out of a Villa Group timeshare or any timeshare in Mexico. After this time, you are not entitled to a refund and you are tied by your timeshare contract, which you have signed. Mexican Timeshare Solutions claims that “the most effective way to be relieved of your obligations with the Villa Group timeshare is timeshare cancellation.” Of course, this statement is only true during the cooling off period, during which time, you do not need Mexican Timeshare Solutions to help you get out of a Villa Group timeshare. Any claims that tell you your Villa Group timeshare membership has been cancelled after this time is a lie. Was this article helpful? What experiences have you had with Mexican Timeshare Solutions? OMG! Wish i’d seen this before gong thro the whole process with MTS. Scammed big time. Called VG and my membership hasn’t been cancelled either, but going to start using it and give it a go. Stay away from MTS. Now they ingnore my calls. Don’t waste time on timeshare cancellation companies after the cooling-off period has passed. You can’t cancel a timeshare once you are past this time, no matter what they say and how smooth they talk. Just because their website says timeshare attorney doesn’t mean they can work miracles.